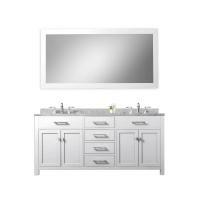 This twin sink vanity brings a lot of usefulness and modern styling to the bathroom. At five feet in length, it provides enough area for two people to use it at the same time. 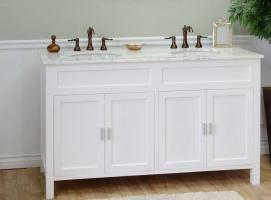 The center drawer out of the row of three seems to share handles with each of the single door cabinets on either side. There is plenty of room for storage within this base. 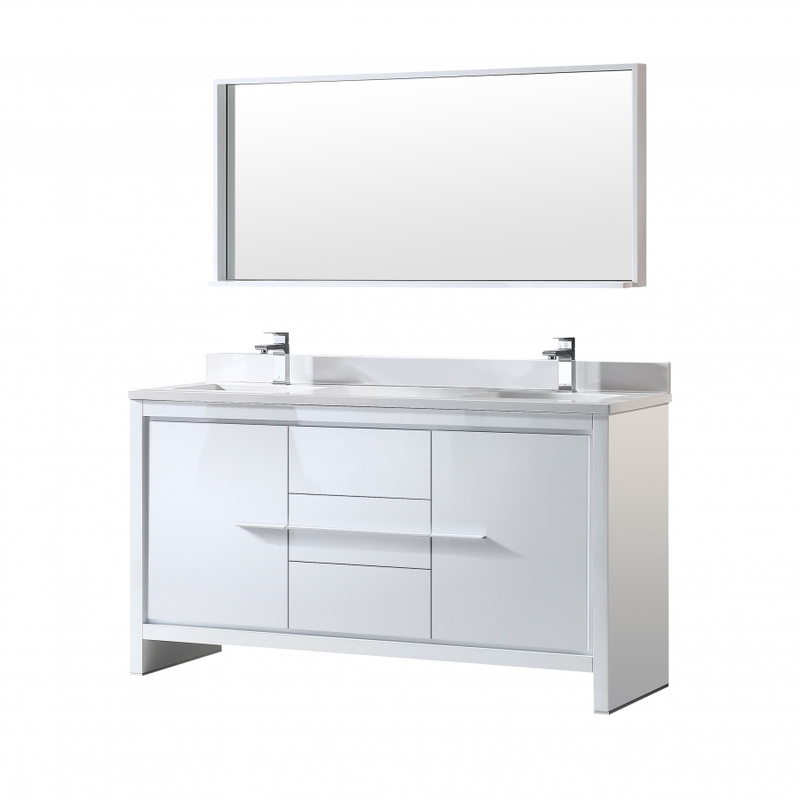 The under mount sinks are made of white ceramic which goes well with the white finish of the wood and the quartz material of the counter top. The mirror adds a great space for personal viewing.